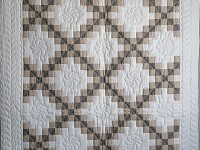 Classic Irish Chain! 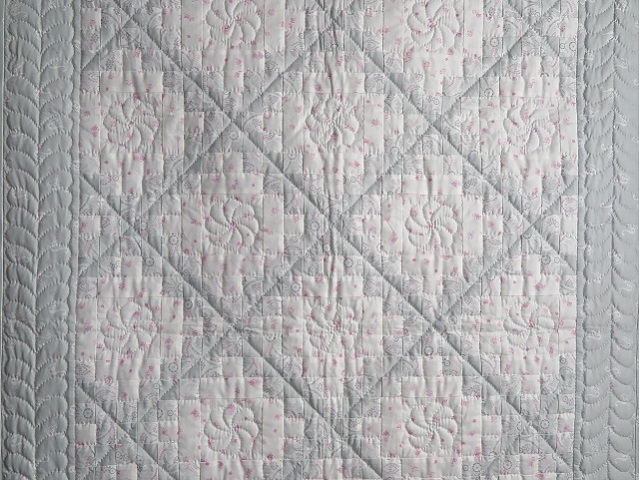 Delicate and soft colors of pink, gray and white coloring. 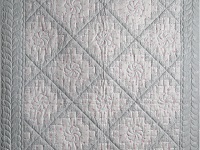 The gray fabric has very subtle elegant swans. 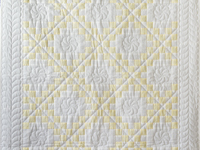 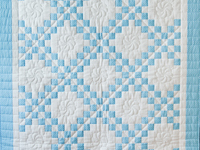 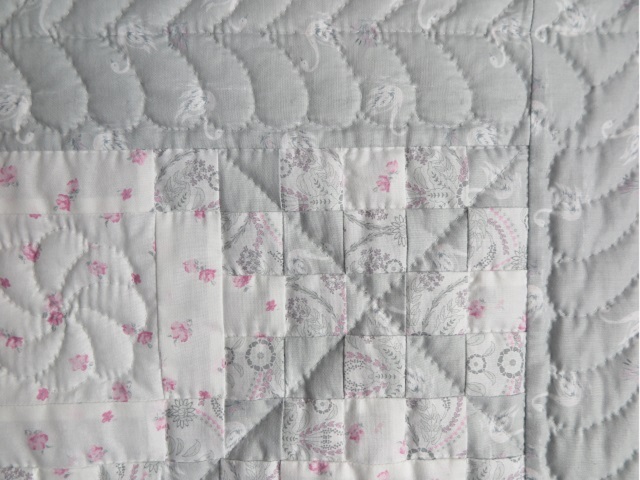 Gorgeous quilting designs. 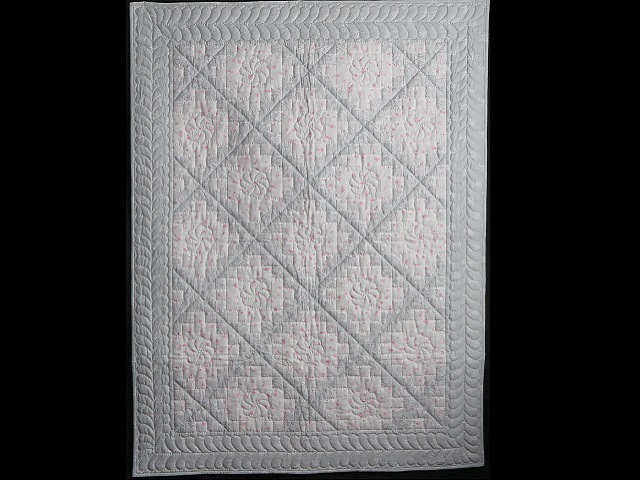 Very well made by Pennsylvania Mennonite quilt designer, Connie Lapp, and hand quilted by her mother. 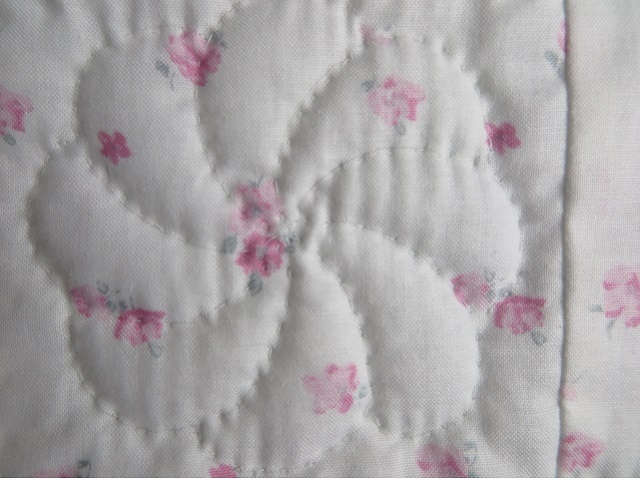 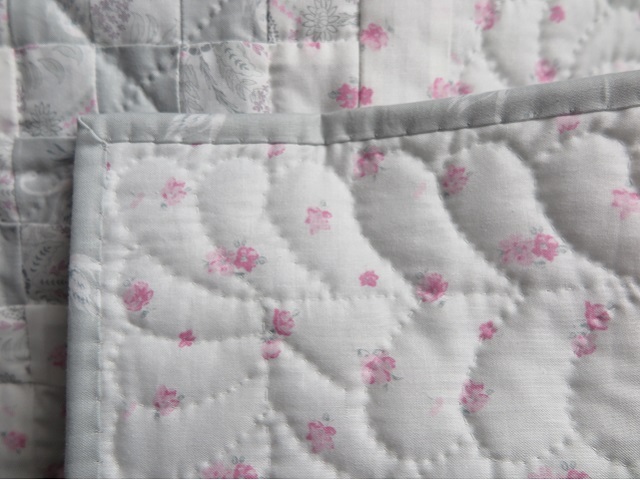 The back of the quilt is covered with the same pink floral fabric as used on the front. 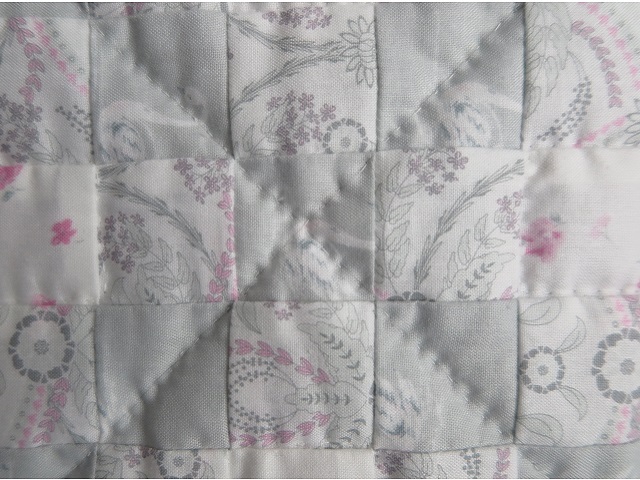 Sure to be a treasured heirloom.